Clothing/Jewelry Description A t-shirt from Kmart, and blue jeans. Distinguishing Characteristics Caucasian male. Blond hair, blue eyes. Jack's nickname is Don. He may use the alias name Bob Martinez. He wears eyeglasses for reading. Jack was last seen in Tampa, Florida on August 18, 1997. He left home early that day and made a delivery around 6:00 a.m. He has never been heard from again. The next day, his white 1989 Dodge van was found abandoned at the Pilot Country Airport, a private airport near State Road 52 and U.S. 41 in Pasco County, Florida. The keys were on the floorboard and there was no sign of Lewis. He knows how to fly a plane and he owned several, but he'd been involved in three aviation accidents and his pilot's license was suspended at the time of his disappearance. Jack had made millions of dollars in his real estate career; he was noted as a "ruthless" businessman. He had a habit of carrying large sums of cash and buying expensive things, including airplanes, on impulse. In spite of his wealth, however, he lived frugally and sometimes even scavenged for food in dumpsters. 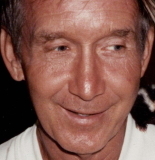 He and his wife, Carole, owned Wildlife on Easy Street, later called Big Cat Rescue, a forty-acre wildlife park in Citrus Park, Florida where approximately 200 animals, including about 120 exotic cats as well as otters, llamas, and horses, lived. In June 1997, two months before his disappearance, Jack had sought a temporary domestic violence injunction to remove his wife, Carole, from their home, telling a judge that she had threatened to kill him and told him to be out of the house by June 12. The judge refused to issue the injunction, however. Carole said she asked Jack to go see a psychiatrist, and he went, but only for one appointment; he didn't return for any follow-up visits. She stated he had told her several times that he wanted a divorce, but she didn't think he was being serious. She also denied having ever had a serious argument with him, in spite of what Jack had claimed earlier. After his disappearance, Jack's four children from his first marriage fought with Carole over control of his businesses and property. They believe foul play was involved in his disappearance. Carole refused to cooperate with the police investigation into his disappearance or take a polygraph, saying her attorney had advised against it. All the other members of the family volunteered to take polygraphs. Authorities got reports that Jack was in Costa Rica, where he owned 200 acres of land and several apartment buildings. Earlier in 1997, he had begun transferring ownership of his properties in Florida to Wito Corporation, a Costa Rican company he controlled. Police went to Costa Rica, investigated for five days, and spoke to most of Jack's acquaintances there, but found no evidence that he'd traveled there after his disappearance. The circumstances of his disappearance are unclear. Updated 1 time since October 12, 2004. Last updated September 22, 2018; casefile added.